We’re giving away a signed Scuf controller to one lucky reader – along with a ton of other cool swag we managed to nab at Call of Duty XP this year. The big prize of course, is the s the Scuf Fury sponsored by Evopoints – which is the very best place to get your Scuf controller and digital vouchers. 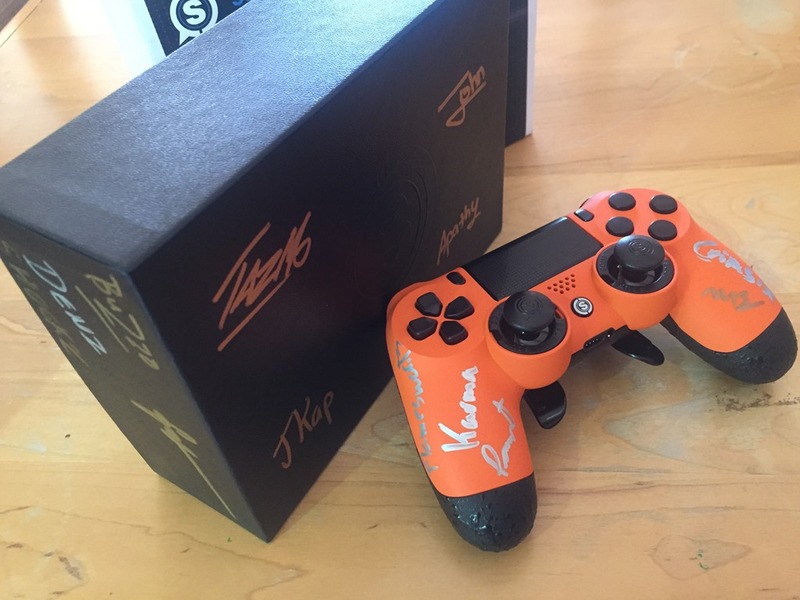 The controller was signed by the entire team at Optic Gaming. The box has also been signed the owner of Optic Gaming, Hector Rodriguez. It has also been signed by the Australian competitors, MindFreak as well as by Faze and the winners of COD XP 2016 – EnvyUs. That makes it somewhat of a rarity, and certainly droolworthy. 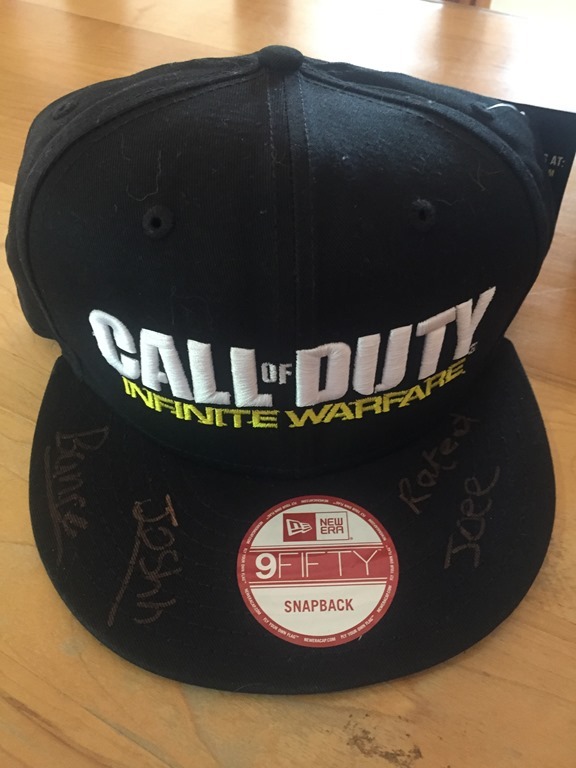 Then we have the Call of Duty Infinite Warfare hat which I managed to get the team from Splyce to sign. Hopefully you remember that Splyce were the runners up at Call of Duty XP 2016 and had surprised the entire tournament by taking down more fancied opponents time and time again. And then last but not least we have my favourite looking hat of all. The extremely limited COD XP 2016 embroidered cap which I again had signed by the only Southern Hemisphere side competing in the tournament. Mindfreak. Anyway. Here are the winners. The Winner of the signed Scuf Controller is Ashley Oakes! Winning the Legacy Edition of Cal of Duty is Travis de Konig. The Modern Warfare Cap, signed by Faze goes to Theuns. 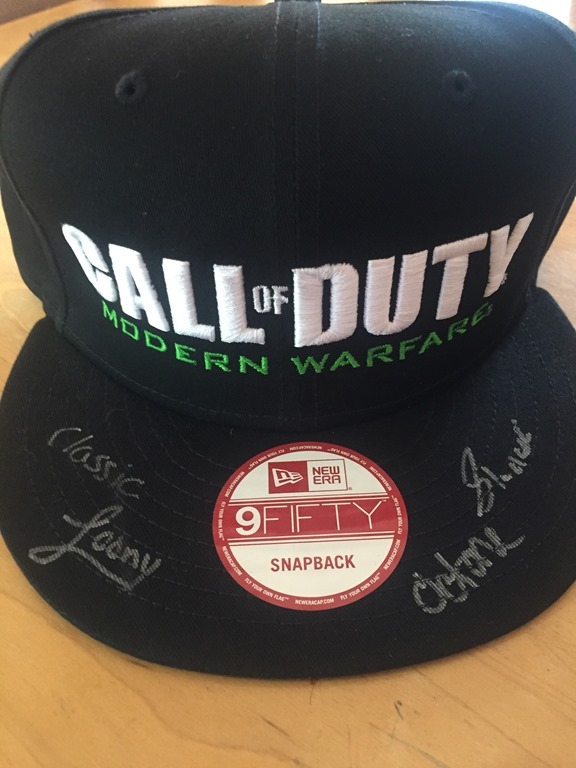 The Cod XP cap signed by Mindfreak goes to Clint Smith. Congrats to all the winners! We’ll be in contact to get your prizes off to you as soon as we can. Obviously, because the game isn’t out yet, Travis will be waiting quite some time for his prize. Once again, huge thanks to Evopoints for sponsoring the controller, and thanks to Activision and Megarom for Infinite Warfare.